Happy Friday and happy weekend folks! 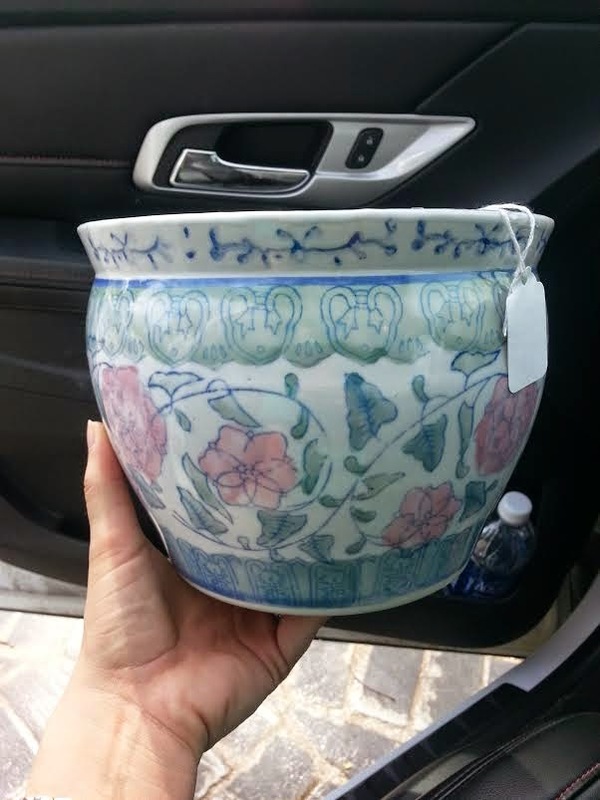 Scored this pretty planter for 3 bucks at a local thrift store! Found these guys! With a little sanding/stain, they'll be perfect! Look at these beauties!!! 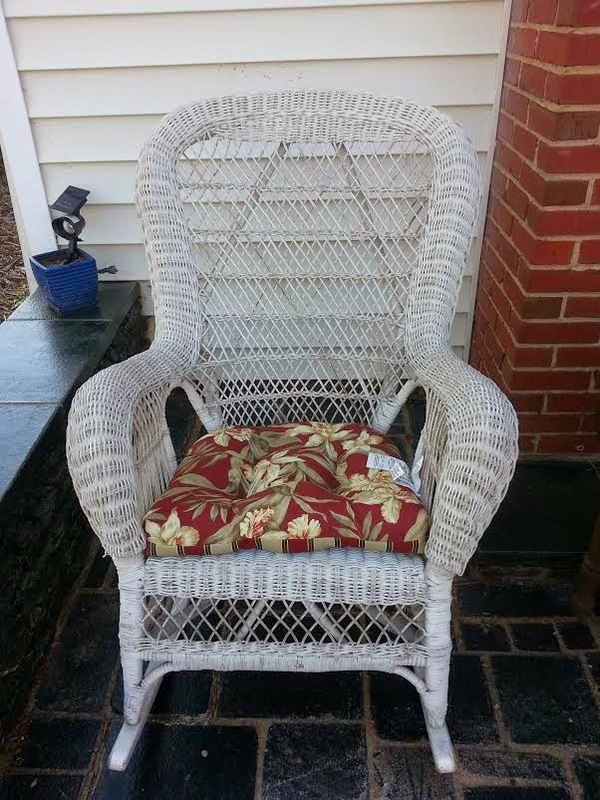 These were my Grandma & Grandpa's wicker chairs on their back porch and my Mom & aunt gave them to me! I am over the moon excited about adding them to our front porch when it is completed! A little spray paint coat and new cushions and they will be good as new!! 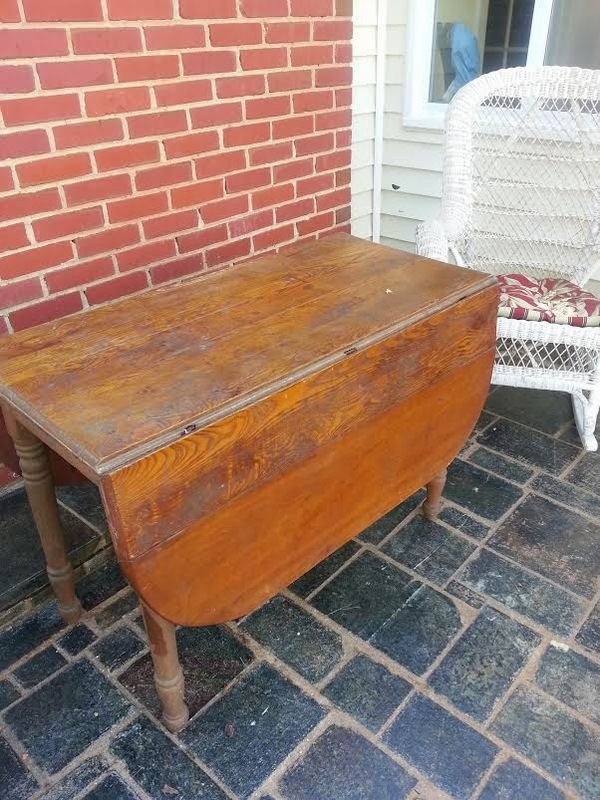 And this drop-leaf table was my great grandmothers and grandpa told us she use to knead bread in the kitchen on this! Stay tuned next week for more antique store finds!! Congrats on 100 posts!! Isn't Frozen so cute?! I love seeing how people reinvent old pieces. No doubt yours will rock! I love love love your furniture! That is amazing that you are able to reuse your family's pieces. You can share that history with your kids. Awesome! Have a wonderful weekend! Wow looks like you really found some great things! Nice! 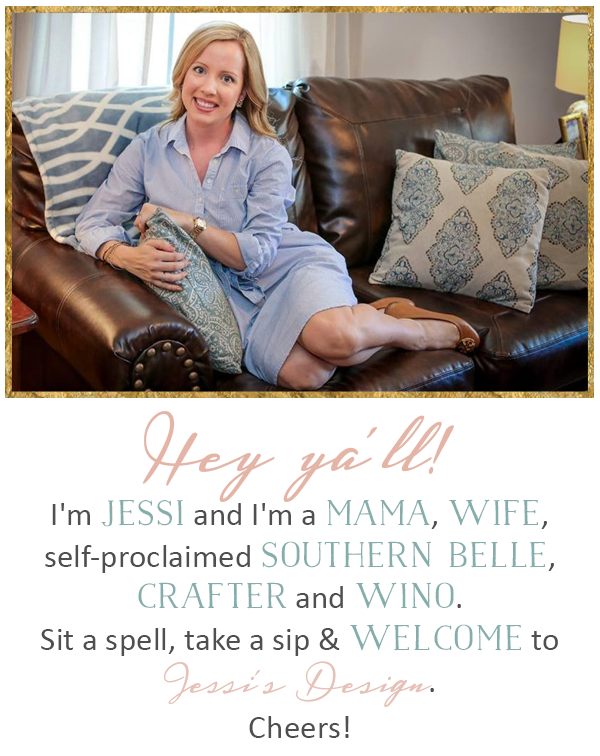 How sweet, I love that you have all those gorgeous furniture pieces from your family!! Excited to see how they come out with some TLC! Loving all your treasures!! Also loving how you watched frozen in the work zone and congrats on your 100th post!! Yay! Congratulations on your 100th post! Sounds like you two have been extremely busy scoring some great deals for your house! I love redoing furniture, and how special that you have such sweet family memories with some of yours! I am seriously so obsessed with all of your home progress, love how your projects are coming together! i want all of this, i'm looking (yardsales here i come) for some wicker and those side tables are adorable we scored one from an antique store and a little sanding and some stain it turned out great!!! good luck! You've had a GREAT week! I love all the home decor pieces you've acquired and can't wait to see them all jazzed up! 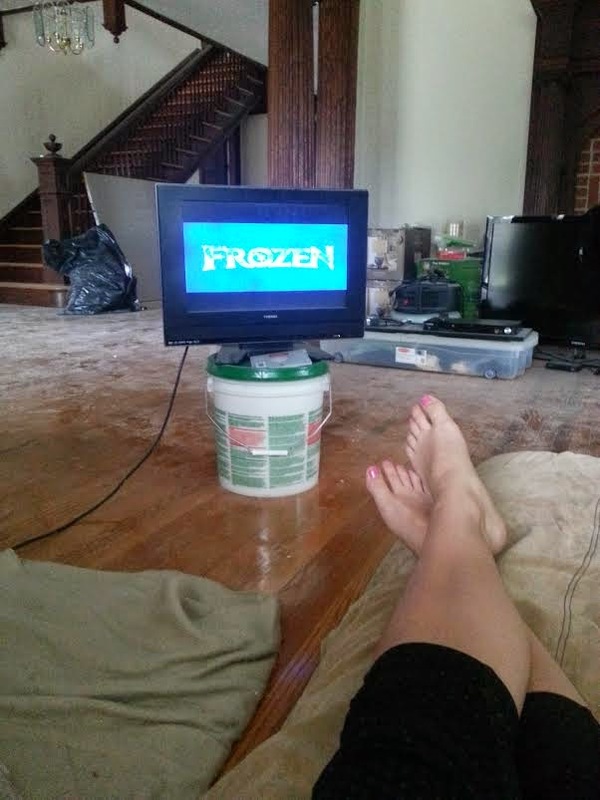 Did you love Frozen? Do you wanna build a snowman....or maybe wait till next winter?!? :) Happy Easter, friend! Loving all the home decor finds & especially the wicker rockers! I love a good rocking chair but add family sentiments in with it & I think that's a double win! Have a great weekend! #3 finds are fabulous! and yay for frozen :) congrats on #100!! 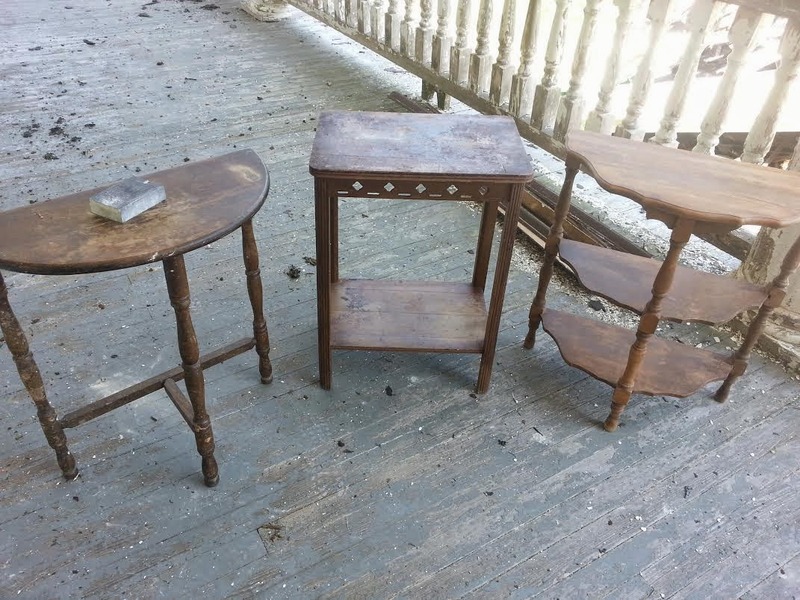 You have tons of awesome furniture to rehab! I love all the pieces! What a fun & exciting time for you! Happy 100th post! 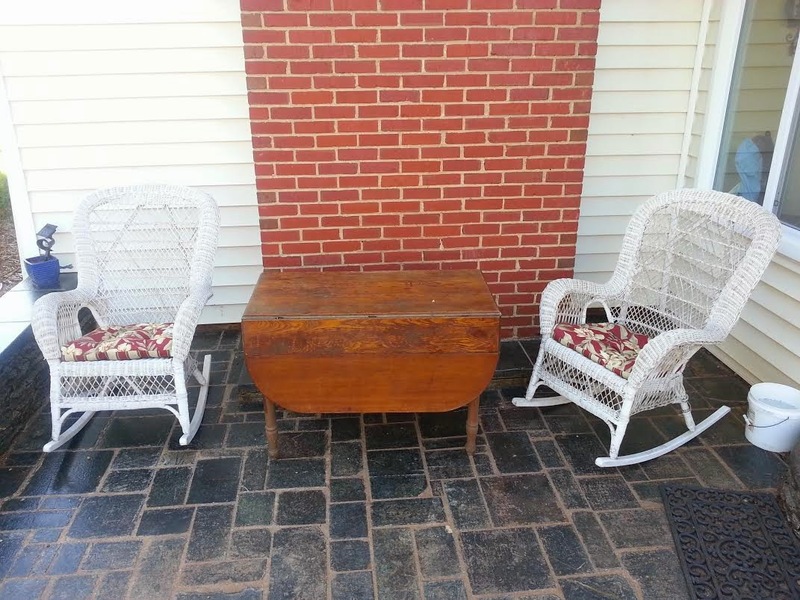 :) Love love love that your patio will be furnished with your grandparents' chairs and table! How meaningful! Have a fabulous weekend! Happy Easter! Great finds! I really love the wicker chairs-so neat! Happy weekend!! Nice little treasures you have found- especially the keepsakes! And Happy 100th post! Seriously you find the best stuff!! 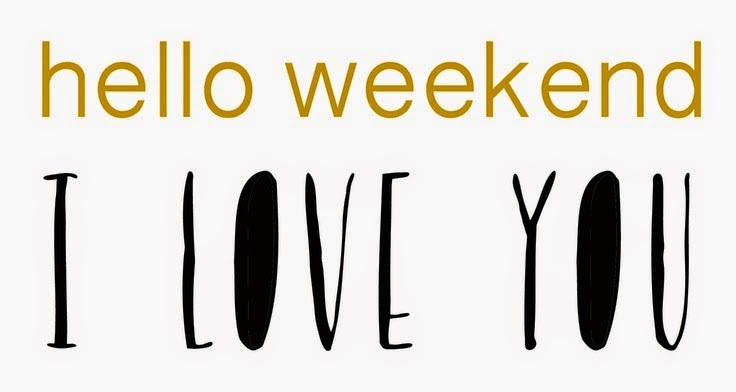 Happy weekend love! Found you through Ashley's Liebster post and love your blog!! Love all the vintage stuff you've got!! Love original and authentic pieces like that! Happy 100th post! And I'm dying to see Frozen! I can't wait to see the furniture when it's done! Happy Easter to you and your family. I want to see Frozen! Love the work zone set up :) Great finds!! Can't wait to see what you do with them!! I love these finds! Especially the hand me downs from your grandparents! How awesome!